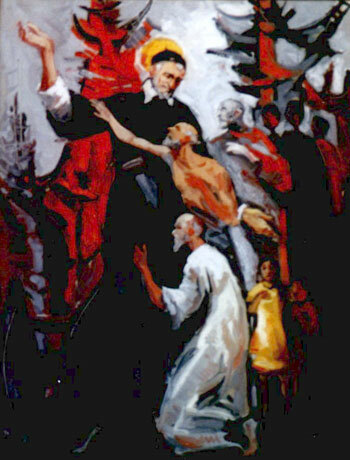 Do you have a novena to St. Vincent De Paul? Our parish is named after him and we would like to have a novena in preparation for his feast day. This is kind of late, but it could help us in the future. Thank you so much. Our rosary group walked and prayed today. A private intention was for my son. Who wants to be the 4th grade class representative so he can deliver food to the St. Vincent de Paul society. Then we realized today was the feast day of Saint Vincent. We added his prayer.